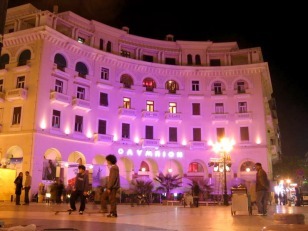 THE ANNUAL GAY MOVIE PANORARA TAKES PLACE IN OLYMPION CINEMA COMPLEX EVERY SEPTEMBER . 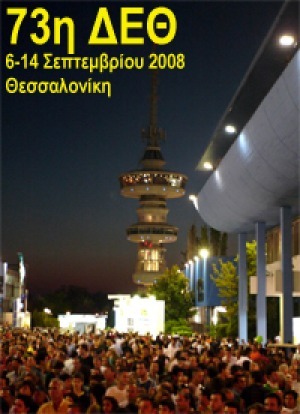 Thessaloniki's International Film Festival is the top film festival of South Eastern Europe, the presentation platform for the year's Greek productions, and the primary and oldest festival in the Balkans for the creations of emerging film makers from all over the world. Founded in 1960 as the Week of Greek Cinema, it became international in 1992, including a Competition Section for feature length films by emerging directors presenting their first or second film. Since then, the Thessaloniki International Film Festival, constantly evolving, has claimed and achieved a constantly increasing international scope, presenting the most groundbreaking independent productions from the entire world, and developing activities for international film industry professionals. Sine the mid 1990s, the Thessaloniki International Film Festival, going beyond the borders set for decades by its centerpiece November edition, has become an organization with continuously increasing cultural activities throughout the year. The 10th Thessaloniki Documentary Festival is carried out every March in Thessaloniki since its inception in 1999 and under the umbrella of the Thessaloniki International Film Festival organization. Through its tributes and retrospectives, the TDF focuses on filmmakers with unique cinematic voices, internationally renowned for their contribution to the documentary genre. Musically showcases, live appearances, projections, installations and reports of art compose Reworks that will be carried out in 17 and 18 September. Reworks is the first complete audiovisual festival of art in Northern Greece, which is realised for 3 years under the assiduity of ''NON''. Reworks moves between musical and modern art and it gives the occasion of projection in new ideas, musically trends, and new talents the domestic and international scene to elect itself and to be appearred in a wide public. With 250 and more artists which offered the most, the festival grows in duration from 1 in 2 days and it is entertained for first time in the historical space of VILKA (Andreoy Georgioy 21) in Thessaloniki near to harbour. Reworks is included in the 6th place of top 10 better festivals in the world according to the bigger musician Internet driver Resident Advisor.